See you at the Altar. Quality Engraved Wedding Cufflinks. Cufflink 1: See you at the Alter around the edge. 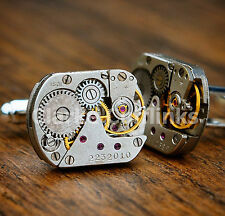 Each cufflink is round in shape. The stunning Rhodium Plate finish ensures they will look elegant with any outfit. Free Gift Box With Every Pair! Pair of Stainless Steel Lattice Checkered Design Cufflinks. High Quality Grade 316 Stainless Steel. 1 pair of cufflinks. Material: Zinc Alloy. This unique design is sure to make you feel comfortable as well as stand from the crowd and add you style. 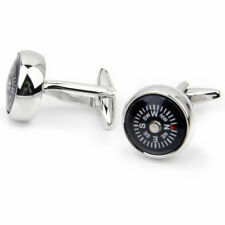 If you need a durable yet elegant cufflink, this is for you! UK BLACK STUNNING VENETIAN MASQUERADE EYE MASK HALLOWEEN PARTY LACE FANCY DRESS. Stainless steel material. 90 UK Man Lady Girl Large Full Arm Waterproof Temporary Tattoo Sticker Body Art. UK Man silver gold titanium wedding ring anniversary bride groom band rings gift. Create your own unique personalised cufflinks for your Loved Ones. How to personalised your cufflinks About your cufflinks Silver colour. Best Gift for Dad, Husband, Friend or Brother. Permanent high quality glossy image. Personalised Silver Polished Cufflink Gift Box - Engraved Free -. Engraved with the words of your choice, they will always think of your when they go to tie their cuffs. Whether you want a precious Wedding favour or a stunning Christmas gift, with personalised presents the choice is yours! Made of High Quality Stainless Steel, Sturdy and Durable. High Polish Finish, Shiny Smooth Appearance. Shape\pattern: Rectangle. A simple and straight to the point design for a special jewelry. Your elegant out fit will be complete with these silver color design cufflinks.